Chris Brown Pleads Not Guilty And Redmond O’Neal Is Arrested Again. Dressed in a black suit with four bodyguards and his mother at his side, Chris Brown arrived at the Clara Shortridge Foltz Criminal Justice a little before 3:30p.m. 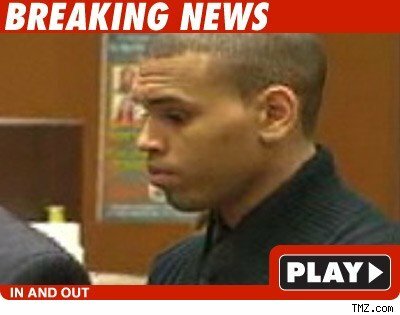 Inside, Chris Brown pleaded not guilty to charges of assault causing great bodily injury and making criminal threats. Rihanna was not there. “Rihanna’s position is the same… she will do everything the law requires her to do,” he added. “She would be pleased if this was over quickly,” he said. If convicted on both counts, Brown faces up to four years and eight months in jail. Redmond O’Neal is racking up quite a rap sheet for himself. This time, the son of Farrah Fawcett and Ryan O’Neal, was arrested when he was found to be carrying illegal drugs. His bail has been set at $25,000. Redmond was stopped at a routine security checkpoint at a detention center in Castaic, CA when he was busted. This is Redmond’s second arrest for drugs in less than a year. He and his father Ryan O’Neal were arrested last September for possession of meth. After Redmond skipped his arraignment, a bench warrant was issued. 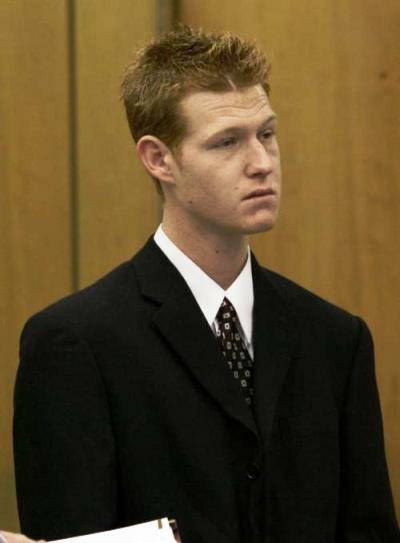 In January, Ryan pled guilty. 50 queries in 0.837 seconds.